Aerovironment, with years of experience in electric vehicles, was chosen for turnkey charging station installation and support for Ford plug-in vehicle customers. Aerovironment, one of the leading charging station makers, announced on Thursday that Ford had selected them as the preferred installation partner and authorized charging station supplier for the Ford Focus Electric, C-MAX Energi and Fusion Energi plug-in electric vehicles. Previously, Nissan had selected Aerovironment for the same role, and the company has almost 20 years of experience in the electric vehicle industry. The Aerovironment offering includes turnkey, professional installation through a nationwide network of certified installers and supported by a three-year onsite parts and labor warranty. Their installers have extensive experience with charging station installation, including all the local regulations, zoning or building code requirements to do so. It is a service they have offered since early 2011, and there are over 11,000 Aerovironment charging stations installed in the field. In many cases charging station installation will require one visit without the need for preliminary site consultation, depending on local regulations. The charging station is rated for 30 amps charging rate, sufficient for the 6.6 kilowatt charging rate of the Ford Focus Electric. It can be installed indoors or outdoors. Optional modules are available for WiFi or smart grid connections. Charging the car with a charging station is faster than doing so with the 120 volt charging unit provided with the car. 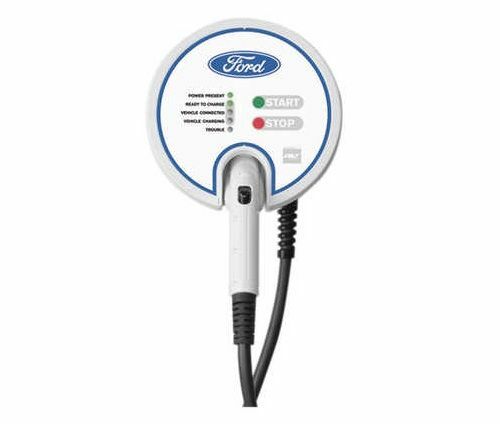 When charged at 120 volts, a Ford Focus Electric requires 18 to 20 hours for charging, but through a charging station the charging time reduces to 4 hours. Many plug-in electric vehicle owners do choose to use the 120 volt charging unit provided with the car, and skip the cost of charging station installation. Doing so means a longer charging time at home.